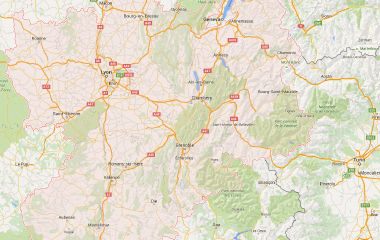 Find your campsite in the heart of Isère: The Portes de Savoie and the Chartreuse Mountains! At the Portes de Savoie, the Prealps display superb green landscapes. Between Grenoble and Chambery, hills are covered by the famous white Abymes or Apremont vines. Discover the local historical heritage and the charming picturesque villages. 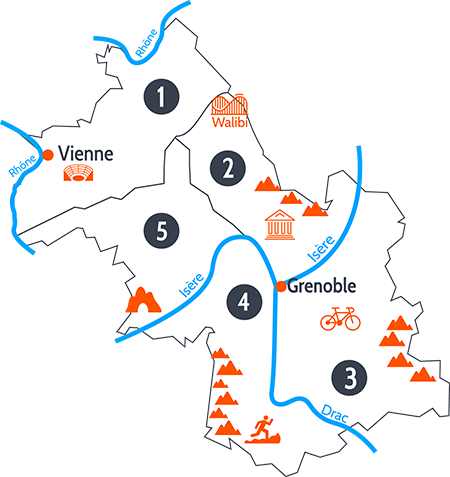 Plenty of visits are available from your campsite in Isère. The Bois Français, outdoor activities centre, offers heaps of activities like swimming canoeing, water skiing, boating... You can also choose a campsite with swimming pool for your holidays in Isère! The Chartreuse mountains stretches from the city of Grenoble to Chambéry offering magnificent green landscapes. In this sumptuous area, more than 2000 plant species grows. The Carthusian monastery monks have been making the delicious liquor since the mid-18th century using 130 herbs and flowers. Even today, the herbal elixir is still distilled near Voiron. Taste the green Chartreuse liquor in the comfort of your mobile-home in a campsite in the Chartreuse Mountains during your stay in Isère. Sport,leisure and nature together with the family. Quiet, serene with some sports activities, games and music. Heated pool.